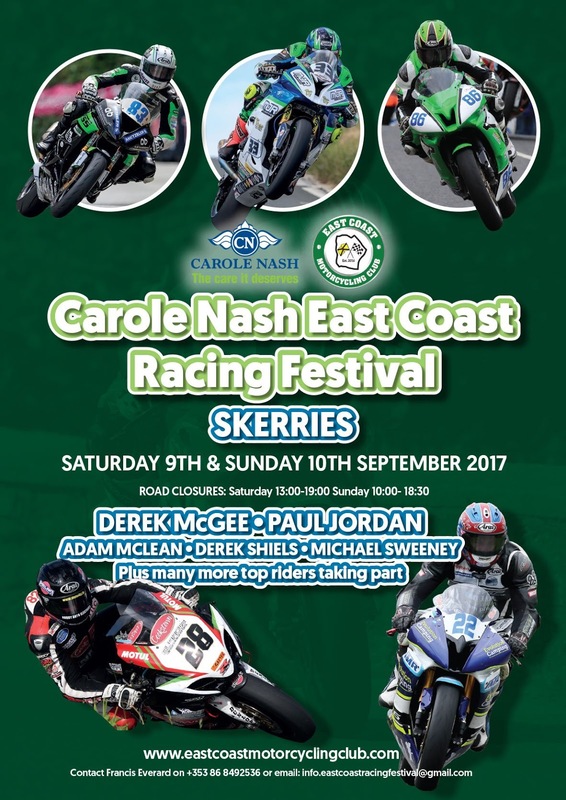 Derek Sheils and local Micko Sweeney have diced toe to toe all season on the Superbikes, 600’s and Supertwins and this weekend shouldn’t see any change. 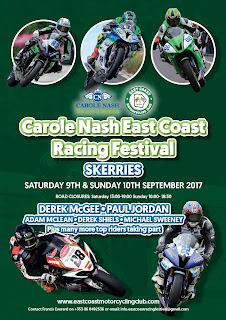 With both riders being well used to the north Dublin circuit, we can expect plenty of skirmishes in all classes too. In the Support classes, large numbers of entries fill the grid and should provide a fine spectacle to bring the 2017 Roads Season to a successful conclusion. 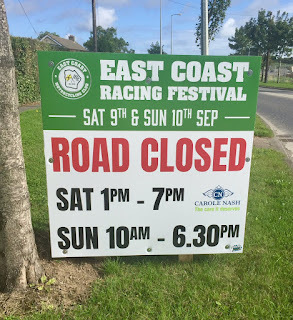 Another feature of the inaugural East Coast Racing venture will be the inclusion of the 125cc GP bikes whose unmistakable sound is as classy as the sight. 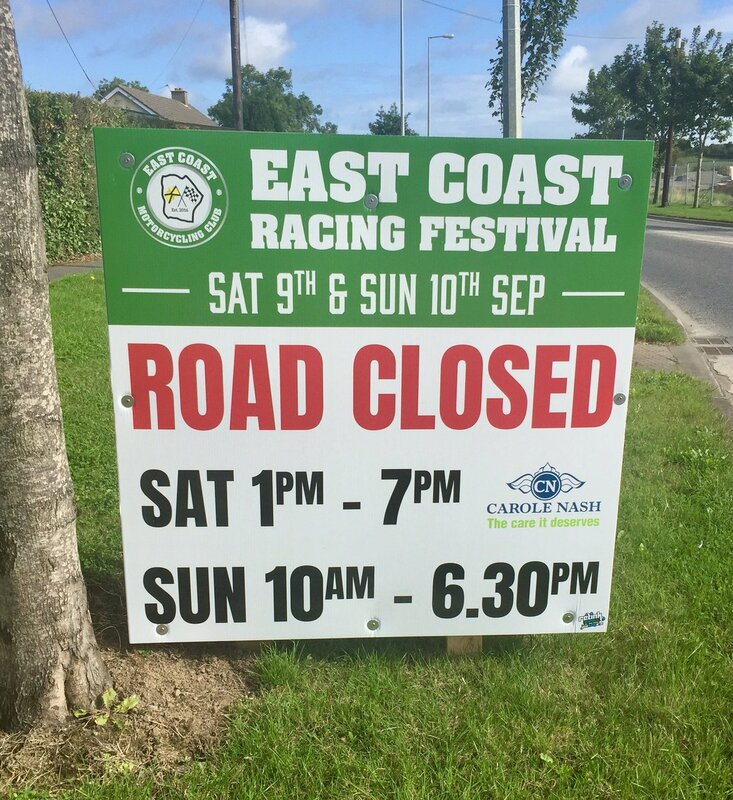 Practise begins on Saturday with a road closure set for 1pm while on Sunday; roads close at 10am sharp.